Home / General Info / Rivew / SEO / What is New Domain Property by Google Console in 2019 | Is it Good for Ranking? 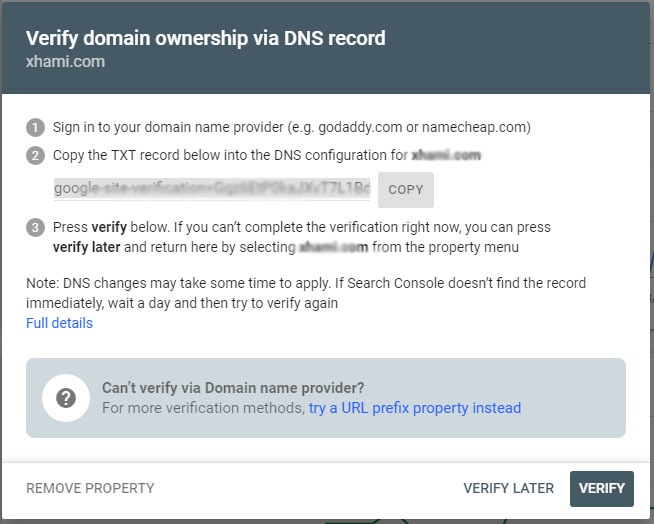 What is New Domain Property by Google Console in 2019 | Is it Good for Ranking? What is Domain Property of Google Webmaster? Why did Google launch this new Version of Property? Is Domain Property good for ranking or Not? Should I delete all old properties after adding one Domain Property? If "Yes" then you are reading the right article now. I shall try to clear all these questions because I faced these type of problems and searched about it and fix these problems so I decided to share my experience and some knowledge with you. 1 What is Domain Property of Google Webmaster? 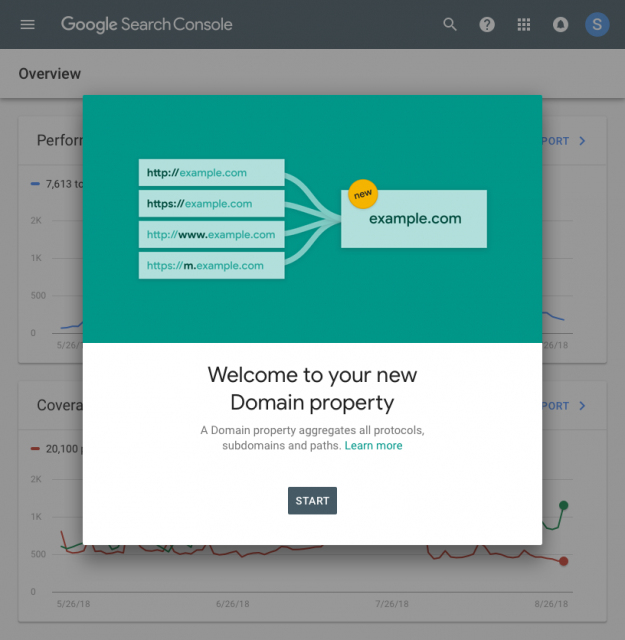 Google has launched "domain properties," a component that gives you a place to see information from an entire domain in one view inside Google Search Console. This can unite your http, https, www, non-www, m-speck, and so forth into a solitary property to get a total perspective on your site's execution and blunders/admonitions in a solitary Google Search Console property. 2 Why did Google launched this new Version of Property? Due to www and Non-www verstions as well as SSL & Non SSL Versions of a single domain was a cause of confusion for most of the people. Most users do not like to enter all the versions in the Google Console (Google Webmaster Tool). But according to google webmaster, it is essential to add separate properties for each www version or Non-www version. Because if you are using Non-www version (example.com) then you should add property without www in google console. But if you are using www (www.example.com) version then you should also add www version property in google console too. Similarly, http and https should be added separately. so sometime it could be four properties of a single domain. So it was really confusing for most of the users who don't have deep knowledge about google webmaster. 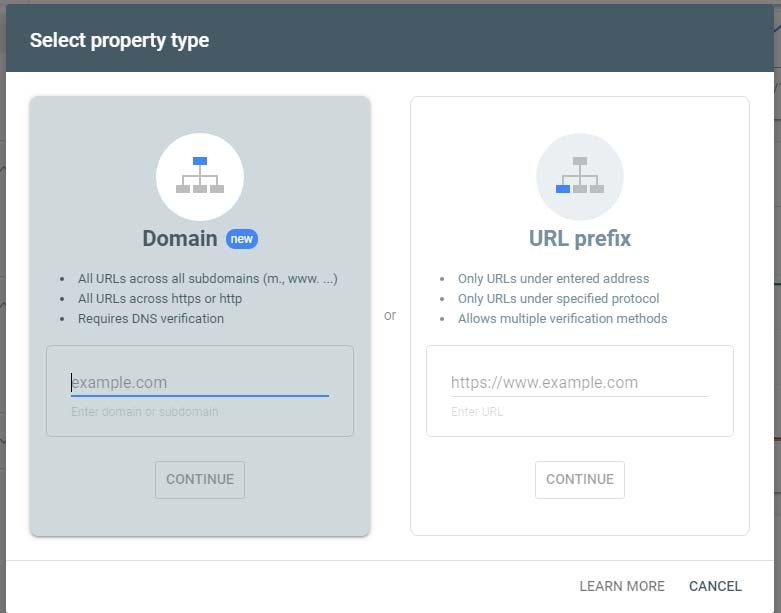 so Google introduced this New "Domain Properties" in this property all versions collectively become one property. These are URLs will be treated in only one property called "Domain Property"
after adding "Txt" file hit the verify button. your property will be added. 3 Is Domain Property good for ranking or Not? Near to me of course Domain Property is good and beneficial because google keeping in view the current situation launched this service. It is really good for users because now you will get rid of all bundle of properties which was too much confusion creating things. Because most of us do not know what is exact property working and which should be followed to check the status of site, performance, errors etc. So due to lack of good settings ranking was effected. Now due to automatically settings by Goole webmaster, it will be clearly good for ranking because console includes all the things which google wanted from us. 4 Should I delete all old properties after adding one Domain Property? This question remains unsolved because I am also looking for it you may visit later to find the exact answer to this question. 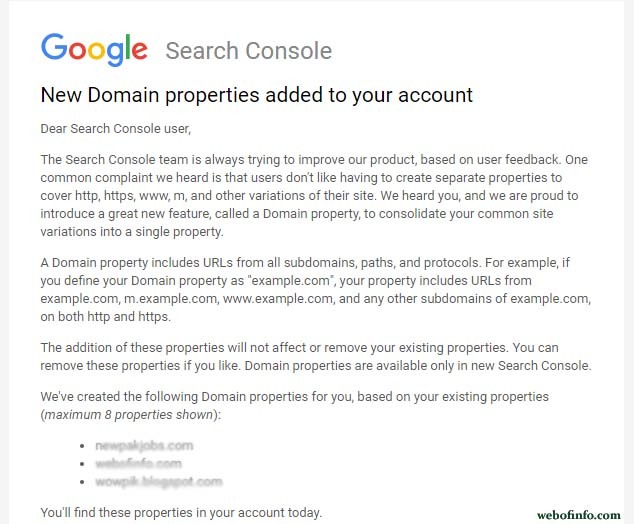 But according to me, it will not be affected if you delete old properties because Google said by itself that after adding auto Domain Property by Console you may delete your all previous properties later. I recommended you if you want to delete all other old properties you should wait at least 30 days after adding Domain properity. Thanks for sharing such amazing info. google is updating regularly and we should keep mind on that.